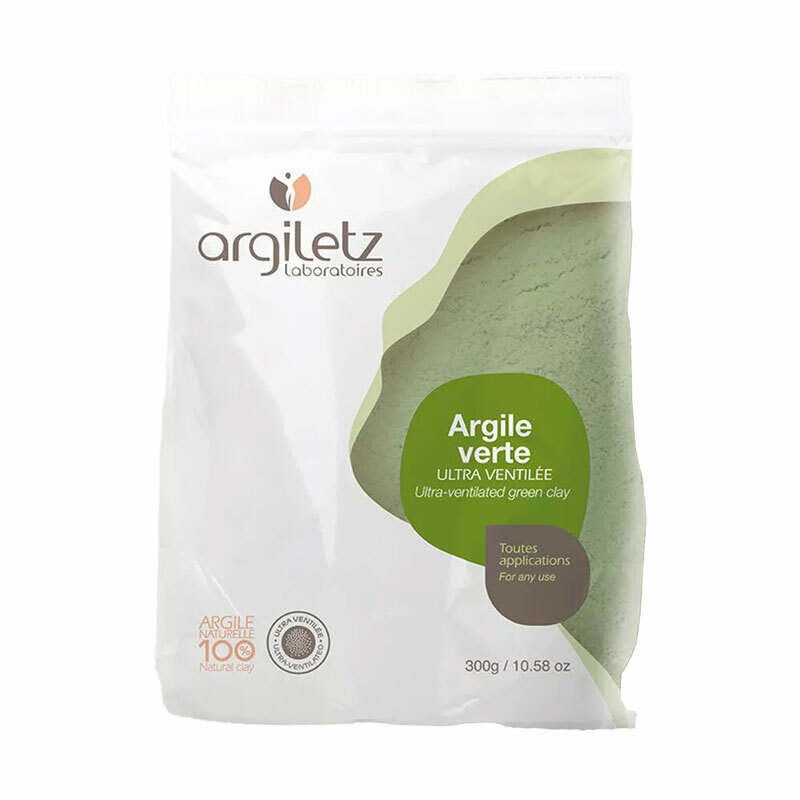 Carefully selected, sun dried completely natural, subject to numerous controls, ultra-ventilated green clay Argiletz, extremely rich in minerals useful to the body is a fine clay powder extracted about 20 microns in France. For external application: Mix 2-3 tablespoons of clay with a little mineral or floral water. Let stand a few minutes, then stir with a wooden spatula until a homogeneous paste. Beauty mask softening, purifying and decongestant, clay tones, brightens the complexion by absorbing action. It is also used in bath, a compress, thalassotherapy. Do not let dry clay. COMPOSITION: Natural compound illite. 100% green clay, rich in minerals and trace elements.